Add Side Badges with your dog's name or message! Create your own Personalized Custom Side Badges. Choose from a list of Pre-printed Convert Side Badges. Have been eyeing up this harness for a few months and finally bought it for my boy. We absolutely love it! He is a little bit of a puller so the front strap is really great in keeping him back, while also not putting too much strain on his chest or upper back. The metal ring is large and secure. Seems very durable. Easy to put adjust, put on, and take off. So glad we finally purchased this, not to mention the custom patches that you can get for it! Highly recommend. For reference, I have a medium mixed breed (kelpie/shepherd mix), just under 1 year old, about 50lbs. We've had the harness for about a week and so far it's been a great purchase. The material feels sturdy and each strap well-structured. Love the handle on top to better control our pup while she runs around. Looking forward to many years with this piece. This harness works alright for my front leg amputated tripawd. It slips to the left during the majority of the walk. It works for now. Until/if I can find another one. But perhaps there isn’t a harness that works well for front Tripawds. Awesome. Exactly what I needed and it surpassed my expectations. The product is exactly like pictured. I have an Aussie and got a medium, it fits but I almost wish i got the large as it’s a little short. The quality is wonderful (actually better than I expected) and the tags you place on the side stick well and I am not worried about them coming off, even while she’s swimming! Originally had the quick fit harness which I loved but my Elkhound is a huge puller so I wanted a thicker strap against his chest. This harness fits well and looks good. My Elkhound always fought me when it came time to put on his harness now he gets excited and lifts his head and dances around when he sees me with it, once it's on he prances around making sure everyone knows how happy and handsome he is. The handle is great for my parents when the puppy sit and I like that the clip ring isn't in the handle. Both me and my dog agree that this is the best harness we have had. This is the second Convert Dog Harness we have purchased. We got the first one for our female mastiff after her front leg amputation so we could help her when needed and not be pulling on her neck if she tripped. It worked so well, we got a second one for our other dog just because we liked it so well. Have an (now) 8 month pup. Small mix. 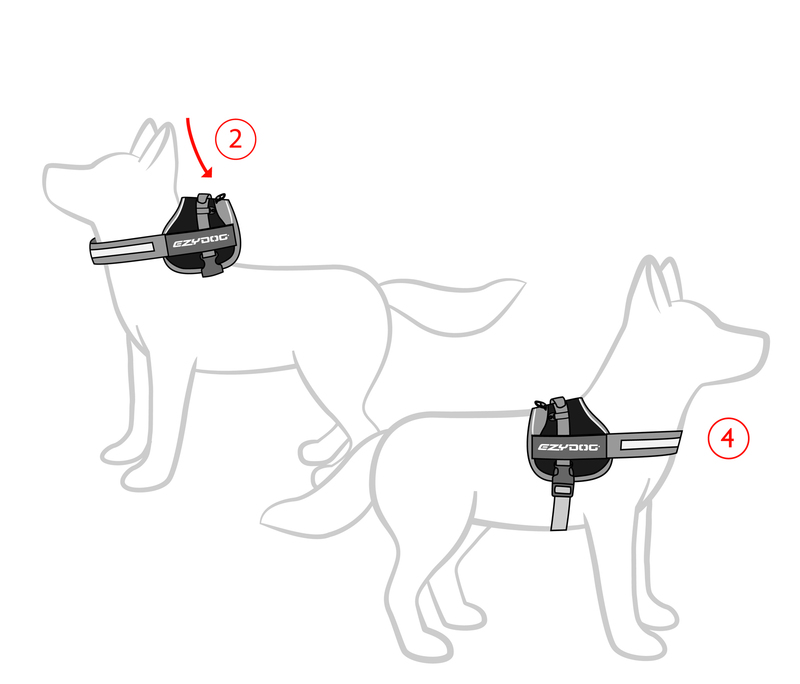 Have tried a number of harnesses, and they just haven't fit correctly, or where leash connect, pulls "wrong" on her back. Convert Harness allows the connection to be more toward her shoulders, plus the small size we can let her carry some of her own supplies when hiking or backpacking (eventually when we get the bags). Only problem encountered, when panicking she can slip out of it. It is as tight as it will go and it is set as tight as I would want on her; set to recommended specs. Already have the chest plate harness (fit by shop personnel purchased at), and she has slipped out of that one when panicking. Noticed after she slipped out of the convert harness, that the belly band had slipped from it's original tighter setting. Put a rubber band to "catch" on the cinch buckle, and that helped to prevent slippage from 1" to 1/4". Just put on a safety pin which tucks under the cinch buckle on the top, that should prevent anymore slippage and hopefully prevent her from coming out of harness. She is right on the edge between the XS and Small, so she is wearing the Small size. Given she is only 8 months old, expect her to grow more into the size we have. Great for our 3 legged dog. She needed a little help when walking on a leash, so this increased the amount of time we could walk with her. We got a medium so she could grow into it, but the chest strap had to get tightened way too much and overlaps on the inside of the vest. 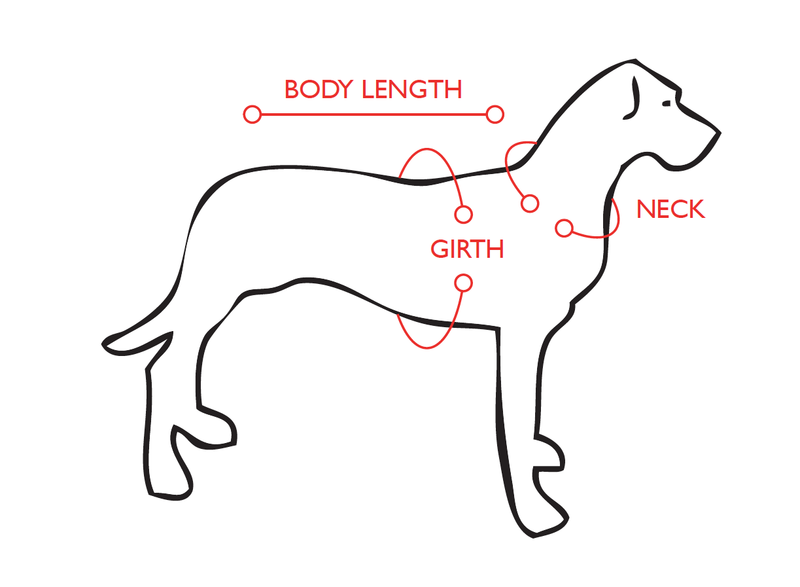 Not too big a deal, but just something to note when sizing your dog, you may need to be down a size when you order or over tighten past the velcro to get it so that it fits your dog correctly.